How do you pay for a renovation? 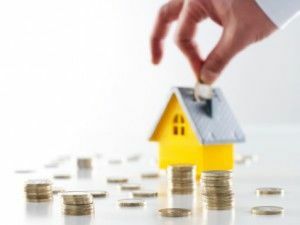 Australians love to renovate and TV shows such as ‘The Block’ and ‘Grand Designs’ give us plenty of food for thought – and it seems many of us are happy to hand over some cash to make our home our castle. According to a report by the Housing Industry Association (HIA) in June 2014, the last decade or so has seen, to quote: “a proliferation of households (non-professional builders) who purchase homes to renovate with the objective of reselling the property for a profit.” The HIA is projecting total renovation activity to a value of almost $29 billion this financial year. While all that activity is great news for tradespeople, hardware stores and associated suppliers, it does beg the question: if you want to do a renovation, what are some of the ways you can finance it? If you have a home loan and have enough equity, a simple way to finance a renovation could be to refinance your home loan. This has the benefit of securing the cash needed at a comparatively low interest rate. Then, the repayments can simply be incorporated into your existing mortgage repayments. That said, any extra month you can tip into your mortgage can save you significant money in the form of compounding interest over the long term. Find out more about refinancing a home loan here. Remember: refinancing is essentially the same as taking out a new home loan, so with interest rates at a historic low, make sure you do your homework on what’s available. It may even effectively make your renovation almost “free” – in the renovation is small and the discount is generous. Assume that David and Jo have a $300,000 home loan over 25 years at 5.20%. They want to do a $10,000 renovation, so take the opportunity to refinance their home loan at the same time, managing to find a home loan rate of 4.90%. Here are the projected monthly home loan repayments under those two scenarios. 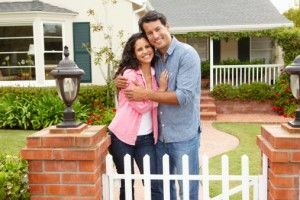 This doesn’t take into account any costs of refinancing (such as application or valuation fees) but it’s certainly worth investigating. If you don’t have enough equity in your property to borrow the amount that you need for your renovations outright, and the cost of your renovations are reasonable, it might be worth looking into the option of a construction loan. A construction loan is a loan based on the post-renovation value of your property and restricts you to drawing the borrowing down progressively as the renovation-related invoices come in. These loans can be interest-only for a period of time and will revert to principal and interest at a future date. Depending on the size and value of the work you need to do, a small personal loan could be the way to go. Thanks to our low official cash rate and some reasonable competition in the market, it’s possible for people with a good credit rating to secure a personal loan at reasonably low rates. Currently on CANSTAR’s database, it’s possible to find an unsecured personal loan for as low as 7%. A personal loan gives you the discipline of paying the amount back in a set timeframe, meaning that a new $10,000 kitchen isn’t going to blow out to a total $20,000 cost including interest. For a small renovation, this is something that you could potentially consider. Credit cards are a relatively simple and fast way to increase your debt and – provided you strictly quarantine the card to just your renovation spending – could work for you. The biggest catch with using a credit card for renovations is the interest rate that many cards attract. While some cards may offer an interest-free or “honeymoon” period, you need to be very realistic about your capacity to repay the debt in that interest-free timeframe. Otherwise, you could find yourself paying an interest rate that is well into the double digits. Here’s the average amount of credit card interest that Australians currently pay. 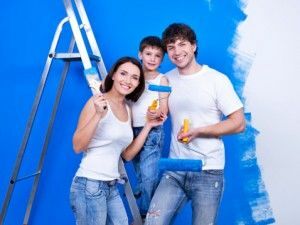 There are other ways to finance a renovation, including an overdraft – or even the bank of Mum and Dad! However, if you decide to do it, make sure you cost your work carefully, allow a margin for error and try to stick to your budget.